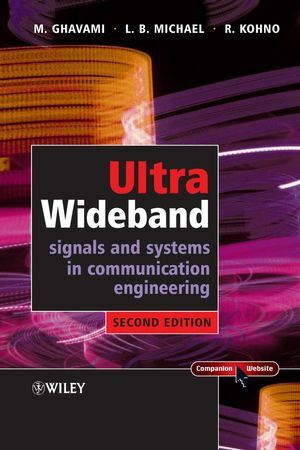 The thoroughly revised and updated second edition of Ultra Wideband Signals and Systems in Communication Engineering features new standards, developments and applications. It addresses not only recent developments in UWB communication systems, but also related IEEE standards such as IEEE 802.15 wireless personal area network (WPAN). Examples and problems are included in each chapter to aid understanding. Enhanced with new chapters and several sections including Standardization, advanced topics in UWB Communications and more applications, this book is essential reading for senior undergraduates and postgraduate students interested in studying UWB. The emphasis on UWB development for commercial consumer communications products means that any communication engineer or manager cannot afford to be without it! Companion website features a solutions manual, Matlab programs and electronic versions of all figures.